I am so angry about this that I don't even know where to start. As only a gay man and a straight man could decide. 1) Gary Cooper is not a "doppelganger" for Chris Evans. Cooper came first, Evans is the doppelganger. That isn't even the point: Cooper is WAY hotter than Yul Brynner, Clark Gable, and Montgomery Clift. 2) Speaking of which, Montgomery Clift is not top ten. 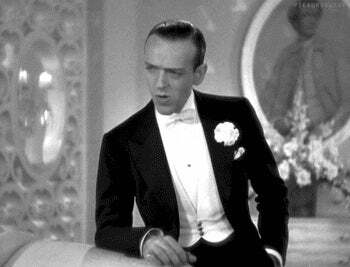 3) Fred Astaire is not a "go go boy." I cannot emphasize enough my distaste for this likening. 4) Burt Lancaster is also not top ten. Nobody is hotter than Paul Newman. Not now, not ever, and in no foreseeable future.